You provide that up close look that I always crave but never get to enjoy otherwise! I’m amazed by that last little fact about the three foot wingspan they had, back in the day. Of course, they may have been flitting around during the time when armadillos (aka glyptodons) were the size of VW Beetles. I’ve read that people used to live in those early armadillo shells. Maybe those big dragonflies provided some ventilation. Thanks, Sabine! 🙂 I’ve noticed a large decline in the number of dragonflies in our area this year. Even a lot of the ponds don’t seem to have many. 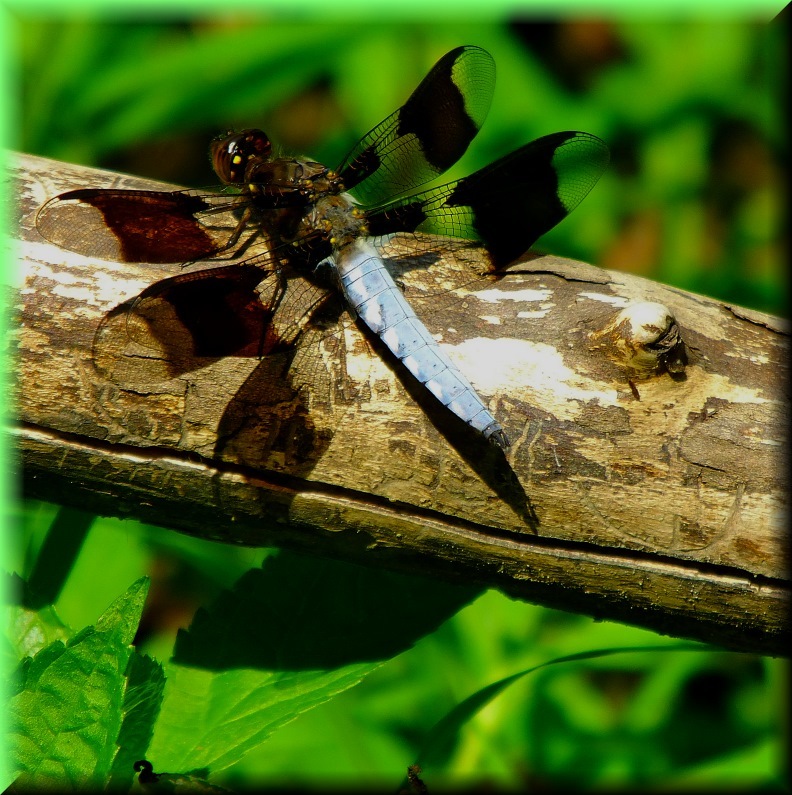 So this dragonfly has the extra wing on the left side as a fluke, or missing a wing on the right side? I noticed it right away. They are so delicate, like butterflies, no wonder their wings are destroyed. A fellow blogger who takes many pics of butterflies had one missing most of one wing and says they often tear them on bushes, scraping them right off. How sad.